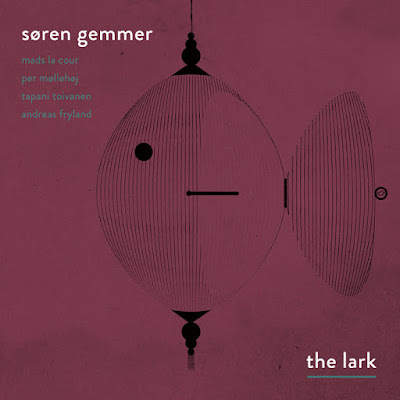 Danish pianist Søren Gemmer’s release The Lark, on the adventurous German label WhyPlayJazz, is his second as a leader and a distinctive collection of angular melodies, thoughtfully hewn improvisations and ensemble playing. He is joined by regular partners Tapani Toivanen on bass and Andreas Fryland on drums. Guitarist Per Møllehøj and the prolific Mads la Cour on trumpet alternate in providing another voice. 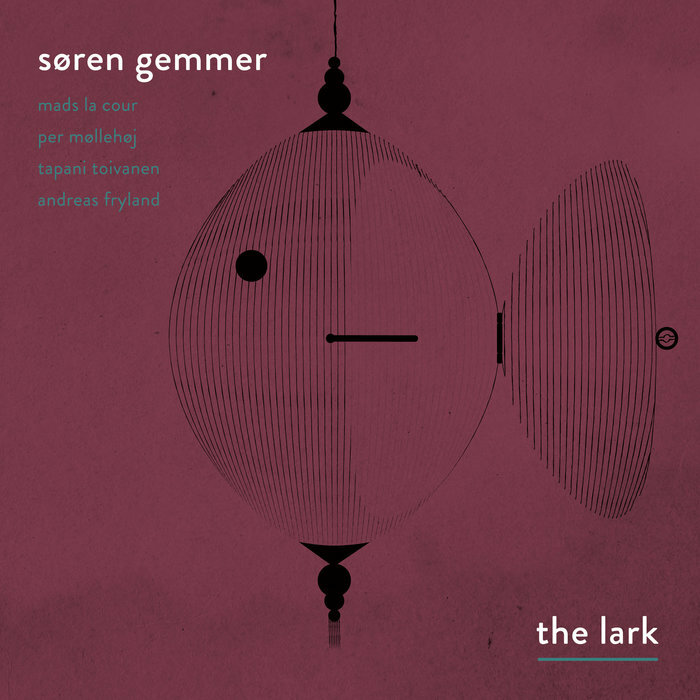 They create sparse textures threaded through with Gemmer’s tone poem-like melodic lines, the carefully constructed themes arranged with jigsaw like parts, repeating motifs and flurries of improvisation. Madonna and the Whore opens with the plaintiff sound of Mads La Cour’s trumpet then the austere melody develops with over-lapping canon-like sections. The Muse continues the mood, Fryland’s drums injecting more urgency before dissolving into a dialogue between piano and guitar. The Lark’s melody unfolds over a Gemmer’s flowing accompaniment before the pianist starts to stretch out, the ideas fizzing and developing. Tinder bursts into life, a repeating three note figure over racing cymbals turns into piano/trumpet duet of contrasting, interlocking phrases before evolving into a spooky trio outing, goaded by the drums over a funky little bass figure. Poulenc has a classical flavoured theme with Gemmer stretching out again. There are short improvisations sprinkled throughout the set, some furious workouts on piano, some meditative and some duos . The session concludes with Writer’s Bloch an angular cha cha cha like groove with a warped melody, the guitar creeping in and out.